Replace old inefficient refrigerators, even if they still work. Take a peek at the model and year listed on a sticker on the wall inside the refrigerator door. If your refrigerator was purchased before 1993 (yes, that is already 20 years ago! ), it probably uses twice the energy of a new ENERGY STAR model and it is time to replace it. In fact, it might be possible to pay for your new refrigerator within a few years on the electricity savings! To estimate savings based on your specific refrigerator, use the ENERGY STAR refrigerator retirement calculator. Electricity costs are around 12.2 cents per kilowatt hour in Minnesota. Look for rebates. Many utilities offer rebates for upgrading to ENERGY STAR qualified appliances. You can look at all the incentives and rebates at DSIREUSA.org. 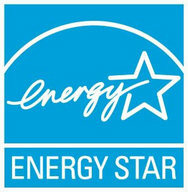 Select an ENERGY STAR model. Every appliance comes with two price tags: the purchase price and the cost of operating the product. Look at the operating cost on the yellow Energy Guide label. The ENERGY STAR logo will help you identify the most efficient models. You can compare models using this list of all the ENERGY STAR qualified refrigerators (PDF). Choose efficient features. To get the ENERGY STAR rating, a model has to save 20% of the energy used by a unit with comparable specs. The size and features of any given unit also impact the efficiency. Top-mounted freezers use 10–25% less energy than bottom-mount or side-by-side models. The larger the refrigerator, the greater the energy consumption. The most energy-efficient models are typically 16–20 cubic feet. Automatic ice-makers and through-the-door dispensers increase energy use by 14–20%. Ask about Solstice insulation. Beginning in 2013, many refrigerators will be made with a new type of foam insulation called Solstice Liquid Blowing Agent. You won’t notice in the way the refrigerator looks or feels, but the manufacturing of those refrigerators will create a lot less greenhouse gas equivalents. Don’t put the old refrigerator in the basement or garage. Using the old appliance and adding a new one just increases your energy use. Recycle your old refrigerator. Minnesota law requires that all major appliances be either reused or recycled. If you are buying a new refrigerator, the delivery service will probably offer to haul away your old appliance. But if you are just getting rid of that extra, old fridge from your basement, you’ll need to arrange your own disposal. Xcel Energy customers can check out the Xcel Refrigerator Recycling Program. Some garbage haulers provide curbside pick-up for appliances. Contact yours for information. Some county facilities accept appliances. Find information about your county on RecycleMoreMinnesota.org. Twin Cities disposal and drop-off sites are listed on RethinkRecycling.com. Watch for special collection days in your community. These limited-duration events are usually cheaper and closer to home then other options. Take care of your refrigerator. A cool location within the house, proper temperature settings, and airtight door seals will help your refrigerator operate efficiently. Leave a few inches between the appliance and the wall and and keep the condenser coils clean if you have an older model. Read the user’s manual to learn how to safely clean coils. Learn more about how you spend your energy dollars. Plug a Watt meter into the refrigerator outlet. How much energy is used every week? How do your other appliances compare? You might be surprised! Minnesota libraries in the northeast and southeast have Kill-A-Watt meters available to check out, just like a book. Even without a Watt meter, you can estimate the cost to run your appliance using directions from the Department of Energy. You’ll need to know the wattage of your appliance. Volts and amps are listed on the label inside the refrigerator door. Multiply them to find the wattage (volts x amps = watts). Electricity costs are around 12.2 cents per kilowatt hour in Minnesota. Get assistance repairing your broken household items at Hennepin County's next Fix It Clinic, January 12, 10 a.m.-1 p.m., Lyndale Farmstead Park Recreation Center, (Minneapolis). Learn how the global shift to biofuel crops and production systems will change our landscape, now and in the future, at the The Bell Museum's next Café Scientifique, January 15, 7 p.m., Bryant Lake Bowl (Minneapolis). If you are a beginning gardener with interest in trying some new fruits and veggies next year, try the Growing Food 101 class from the Permaculture Institute. This class will cover A to Z in the vegetables, fruits, herbs and edible flowers plus a few perennial vegetables that you can grow in Minnesota, January 22, 6-8 p.m., University of Minnesota Rapson Hall (Minneapolis).